Micromax A117 Canavs Magnus get's a CWM Recovery, oh sorry, not cwm recovery but Carliv Touch Recovery. Carliv Touch Recovery is popular among MediaTek Android devices because it can be ported to almost any MediaTek device without any decompiling and other things. Credits goes to Carliv for making this simple tool and yuweng for his excellent work on his recovery. This is latest recovery complied by Carliv and there are all features which a recovery should have liek touch, nandroid, swipe etc. The recovery is touch based recovery so no need for touching your buttons and that's the best part of the recovery. Not only the touch feature, but you get swiping feature, touch-to-flash-rom feature, Nandroid backup, 'Nandroid backup deleter' (in the recovery itself), backup format changer, Aroma File Explorer and other tons of special features in it. Let me show you aggregate features of Carliv Touch Recovery. Can be ported to any MediaTek based android device easily. Touch support- so no need to touch your buttons. Change backup format- you can change the backup format like .ext4, .img etc. 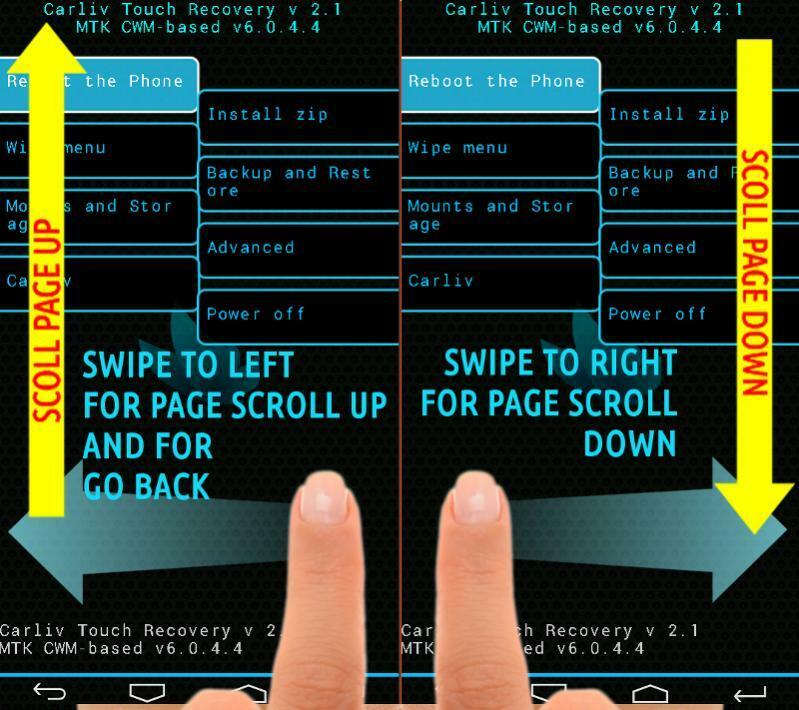 Swiping feature- swipe up, down, left or right for moving in recovery. 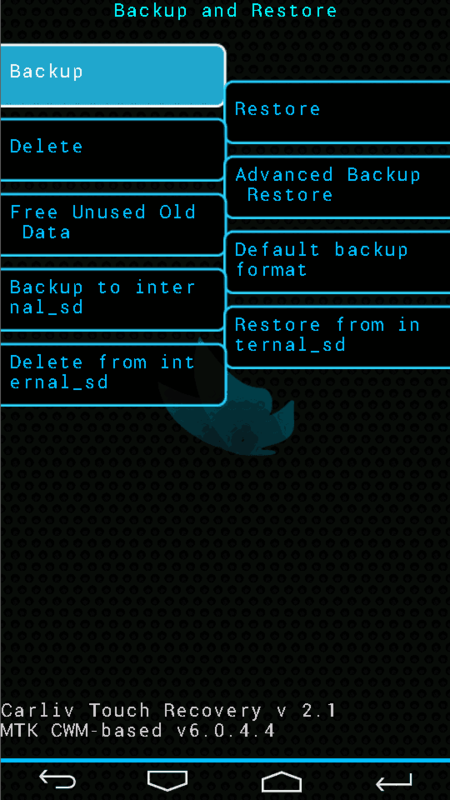 Delete Nandroid backup in recovery itself. 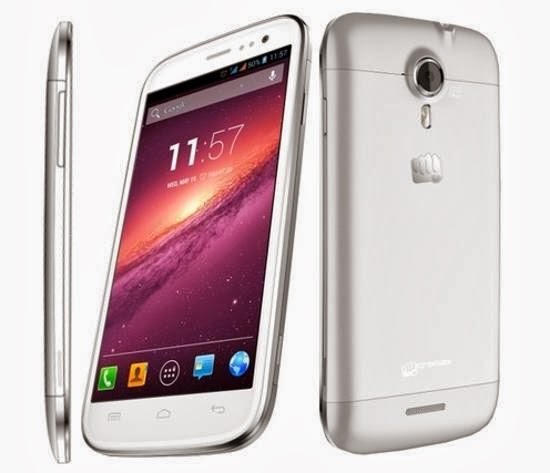 A Rooted Micromax A117 Canvas Magnus: Click HERE. Battery charged up to 70%. Simple knowledge of installing and using Android applications. I am not responsible if you bricked your Canvas Magnus while performing the tutorial in this website. I hold no responsibility for it. 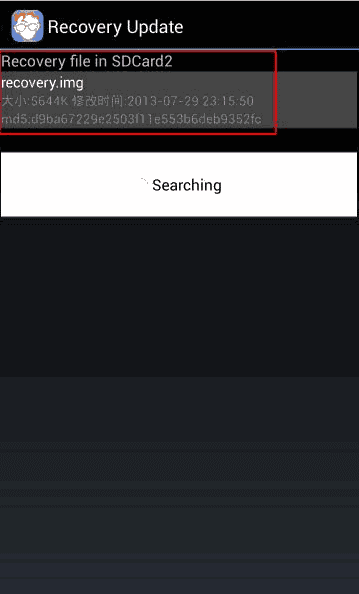 You may make a backup by MTK Droid and tools for a safety purpose but it is tested by many users so you can also give it a shot. After flashing recovery, whatever you flash, I won't help you in that but make sure to make a Nandroid backup before flashing anything. Thanks Carliv for providing us the screenshots! 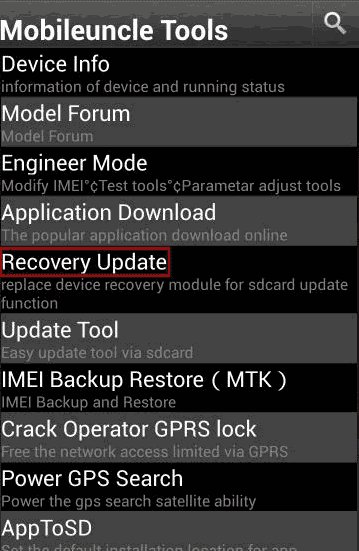 The recovery is based on CWM recovery so you also get features of ClockWorkMod Recovery too. Push it to your External SD Card of Canvas Magnus. It will automatically find the recovery in your SD Card. Click on recovery.img and it will give you a warning to flash it or not. It will start flashing the recovery. Now you are done with the recovery. Do anything with it but make sure you are backed up and do not format any partition if you don't know what does it means!! Especially preloader. You can also try many mods like King's Booster etc. but make sure you are backed up! Have a good day and stay tuned to us.